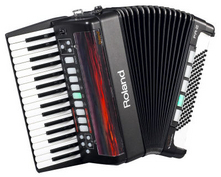 Accordions The accordion is a box-shaped musical instrument of the bellows-driven free-reed aerophone family, sometimes referred to as a squeezebox. Alto Saxophones The alto saxophone is a member of the saxophone family of woodwind instruments. It is smaller than the tenor but larger than the soprano, and is the type most used in classical compositions. Baritone Horn The baritone horn, or simply baritone, is a member of the brass instrument family. The baritone horn is a cylindrical bore instrument like the trumpet and trombone. 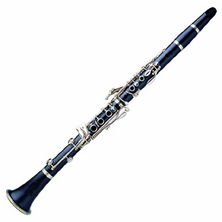 Bass Clarinet The bass clarinet is a musical instrument of the clarinet family. Bass clarinets regularly perform in symphony orchestras, wind ensembles, and play an occasional solo role in contemporary music and jazz in particular. 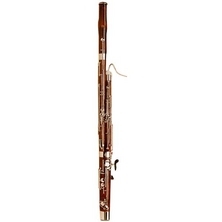 Bassoons The bassoon is a woodwind instrument in the double reed family that typically plays music written in the bass and tenor registers, and occasionally higher. Appearing in its modern form in the 19th century, the bassoon figures prominently in orchestras and concert bands. Cellos The cello is a bowed string instrument with four strings tuned in perfect fifths. It is a member of the violin family of music instruments. Cornet The cornet is a brass instrument very similar to the trumpet, distinguished by its conical bore, compact shape and mellower tone quality. 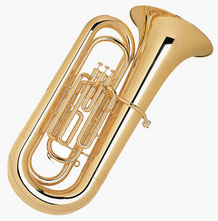 Euphoniums The euphonium is a conical-bore, tenor-voiced brass instrument. The euphonium is a valved instrument; nearly all current models are piston valved, though rotary valved models do exist. 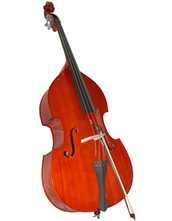 Basses The bass is one of the largest and lowest-pitched bowed string instrument in the modern symphony orchestra. Clarinets The clarinet is a part of the woodwind family. Clarinets comprise a family of instruments of differing sizes and pitches. The clarinet family is the largest such woodwind family, with more than a dozen types. Bass Guitars The bass guitar is a stringed instrument played primarily with the fingers or thumb by plucking, slapping, popping, tapping, or thumping. 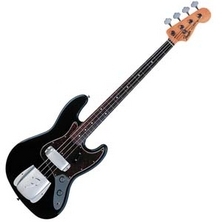 The bass guitar is similar in appearance and construction to an electric guitar, but with a longer neck and scale length, and four, five, or six strings. Flutes The flute is a musical instrument of the woodwind family. Unlike woodwind instruments with reeds, a flute is an aerophone or reedless wind instrument that produces its sound from the flow of air across an opening. French Horns The french horn is a brass instrument consisting of about 12–13 feet of tubing wrapped into a coil with a flared bell. MellophonesThe mellophone is a brass instrument that is typically used in place of the french horn in marching bands or drum and bugle corps. OboesThe oboe is a double reed musical instrument of the woodwind family. Piccolos The piccolo is a half-size flute, and a member of the woodwind family of musical instruments. 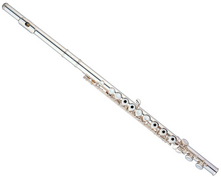 The piccolo has the same fingerings as its larger sibling, the standard transverse flute, but the sound it produces is an octave higher than written. Piccolo Trumpet The smallest of the trumpet family is the piccolo trumpet. The modern piccolo trumpet enables players to play the difficult trumpet parts of Baroque music and is now commonplace in many musical genres. Pocket Trumpet The pocket trumpet is a compact size Bb trumpet, with the same playing range as the regular trumpet. It is a non-standard instrument, not to be found in orchestral brass sections and is used mostly by trumpet players as a practice instrument. Snare Kit The snare drum is a drum with strands of snares made of curled metal wire or metal cable stretched across the drumhead, typically the bottom. The snare drum is considered one of the most important drums of the drum kit. Soprano Saxophone The soprano saxophone is the third smallest member of the saxophone family. Soprano saxophones are usually straight, but sometimes have slightly or fully curved necks and bells. Tenor SaxophoneThe tenor saxophone is a medium-sized member of the saxophone family. The tenor saxophone uses a slightly larger mouthpiece, reed, and ligature than the alto saxophone, and is easily distinguished from that instrument by the crook or bend in its neck just ahead of the mouthpiece. TrombonesThe trombone is a musical instrument in the brass family. The trombone is usually characterized by a telescopic slide with which the player varies the length of the tube to change pitches, although the valve trombone uses three valves like those on a trumpet. TrumpetsThe trumpet is the musical instrument with the highest register in the brass family. Trumpets are among the oldest musical instruments. Modern trumpets have either three piston valves or three rotary valves. Each valve increases the length of tubing when engaged, thereby lowering the pitch. TubaThe tuba is the largest and lowest pitched brass instrument. Sound is produced by vibrating or "buzzing" the lips into a large cupped mouthpiece. It is one of the most recent additions to the modern symphony orchestra. UkeleleThe ukulele is a subset of the guitar family of instruments, generally with four nylon or gut strings or four courses of strings. 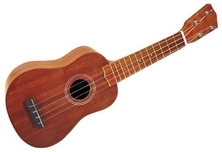 The ukulele is commonly associated with music from Hawaii. ViolasThe viola is a bowed string instrument. It is the middle voice of the violin family, between the violin and the cello. Violins The violin is a string instrument, usually with four strings tuned in perfect fifths. 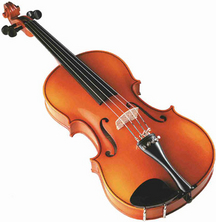 It is the smallest, highest-pitched member of the violin family of string instruments.